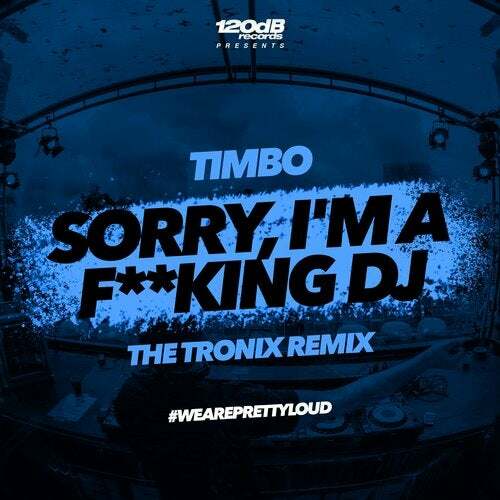 Timbo's main stage anthem "Sorry, I'm a f**king DJ" was not only a smash hit at summer festivals, but also the key record that got him signed to Hardwell's Revealed Recordings! Now 120dB Records introduces the harder 150BPM sound of German DJ Duo THE TRONIX with this Remix. As the winners of the Parookaville x Spinnin' Records x Penny DJ Contests 2017, the duo were able to open the legendary Spinnin &apos; Sessions stage of the Parookaville Festival. Watch out for their 2018 upcoming sound!